Zoe has recently started to want to do her own work in the kitchen. She has always helped me in the kitchen but she wants to do it herself. 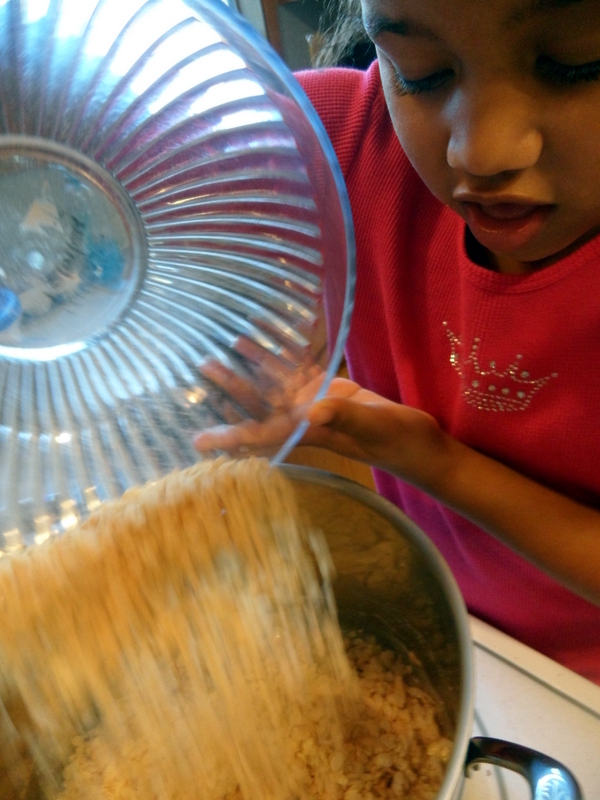 And she doesn’t want to use a recipe out of one of our books she wants to use her own recipe. I love her creativity. It started with the cookbook she created with recipes like Raisin Snack, Jalapeno Spicy and Apple on a Stick. 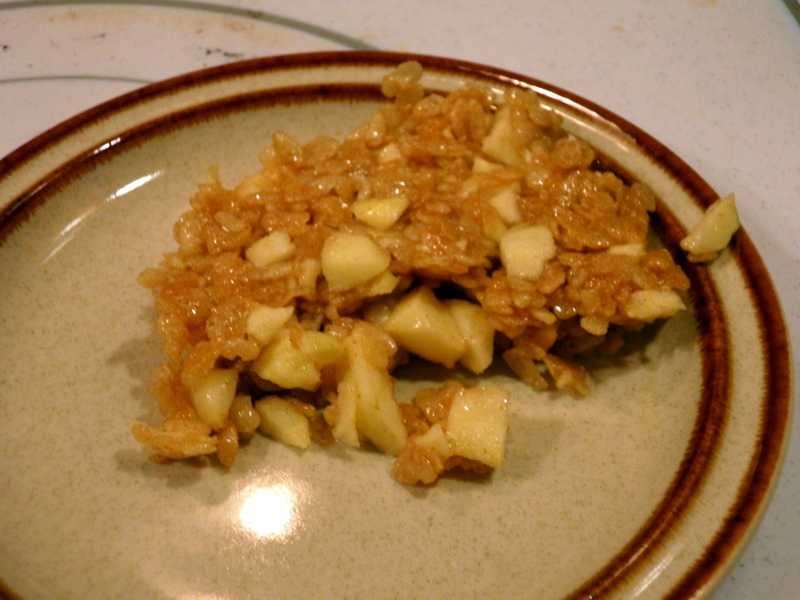 One of her latest experimental recipes was Apple Crispies. Basically rice crispy treats with apple and cinnamon. It didn’t turn out quite like she was expecting but the flavor was good. She identified what went wrong and what to do to correct it for next time. I was quite impressed! We’ll share the recipe once it’s been perfected. Please do post the recipe, Zoe!! I would love to try it. The same-old, same-old gets boring after awhile. I would also enjoy submitting it to our kids cooking class at school (with your permission). The kids love to try food made-up by other kids! Can’t wait to hear!